← The Sports Archives – Learning To Snowboard? How Long It Will Take! 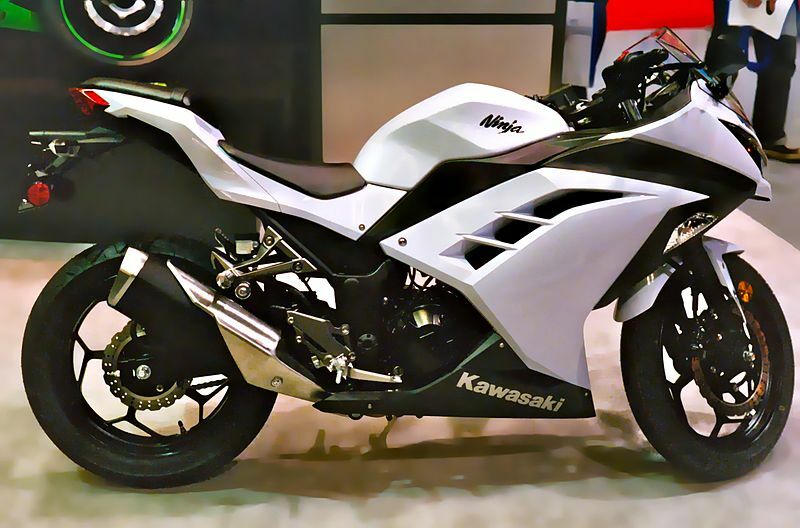 The Sports Archives – 2013 Kawasaki Ninja 300, a Massive Recall! When someone decides to ride a motorcycle they are doing so knowing full well that the chances of an accident are much higher than those driving a car. Riding a motorcycle though, gives you the pleasure of being free and moving at a much quicker pace if there’s a traffic jam. Assuming all riders are taking every precaution possible, wearing all possible gear at all times, there is not much you can do if the manufacturer of your bike drops the ball on you. In 2013, Kawasaki dropped the ball with their 2013 Ninja 300. A recall is something that should always be taken seriously. If a manufacturer issues a recall it’s usually because they believe, or even worse, they know, you are in danger if you continue to operate their vehicle or motorcycle. In August of 2013, the National Highway Traffic Safety Administration (NHTSA) issued a recall for the Kawasaki Ninja 300. The models specifically manufactured between July 16, 2012 and April 27, 2013 were in danger. According to the NHTSA there was an issue with the settings for the Electronic Control Unit, or ECU for those motorcycles. The ECU settings issue would arise when decelerating the motorcycle from any speed and could cause the motorcycle to stall. I’m not sure about you but the last thing I want my motorcycle doing is stalling while I’m lowering my speed in the off ramp. Stalling while at a red light is one thing, but stalling while traveling a high rate of speed is something completely different. I can image how an inexperienced rider can quickly panic when encountered with this situation and thus increase his or her chances of an accident and possible bodily injury. This recall affects a total of 11,097 motorcycles that were manufactured within that time frame. Kawasaki has already has already notified all dealers and they should be able to perform the ECU switch at no extra cost to the rider. This recall is nothing new to the motorcycle world. Although not often, recalls are done from time to time in order to ensure every rider’s safety and we have the NHTSA to thank for that. If you own, or know anyone that owns a 2013 Kawasaki Ninja 300 you should take notice. You might have already done something about it but you may have not, take this as a polite reminder that you may be in danger because you don’t want to find out the hard way. Anyone who is concerned and has further questions can always contact Kawasaki directly at 1-866-802-9381. They have staff available to answer any questions regarding this issue or any other issue at hand. If you wish to contact the NHTSA as well you can reach them at 1-888-327-4236. If you know someone who rides a 2013 Kawasaki Ninja 300 or ride one yourself, you need to take action if you haven’t already. It will take an hour of your day to go to your local dealer and have them change the ECU but you can possible safe your life by doing so. Ride safe everyone. Dewayne Jasper loves riding motorcycles and mapping roads. This story particularly describes about High way trip. It will help people knowing about them and planning their road trips. Connect with him to know latest stuff related to biker’s world. 3 Of The Most Exciting And Dangerous Corners In Motorsports! This entry was posted in Motorsports and tagged ECU, Electronic Control Unit, Kawasaki motorcycles, Kawasaki Ninja 300, motorcycle blogs, motorcycle safety tips, motorcycle stalling, National Highway Traffic Safety Administration, NHTSA, sports and recreation, sports and safety, Sports Archives, Sports Blogs. Bookmark the permalink. 2 Responses to The Sports Archives – 2013 Kawasaki Ninja 300, a Massive Recall!